Mr. Fo and I had a little holiday gathering last weekend. The best part? It was on a budget and STILL fabulous! It's so easy! 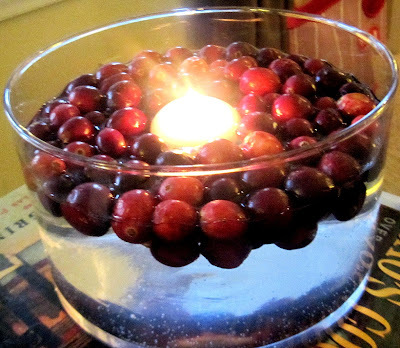 Fill your containers with water, and throw a bunch of cranberries on the top! 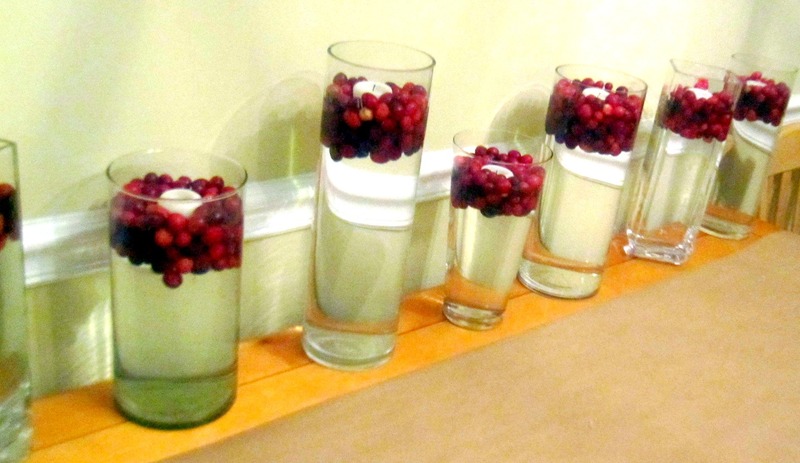 You can do a lot of cranberries or a little, it's up to you. Perch a floating candle on the top of the floating cranberries, and voila! The only downside with floating candles? They are floating in WATER, so be careful not to get them wet, or they won't light. One big plus to this idea? 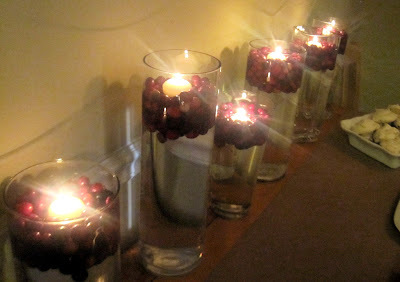 Cranberries freeze really well, so I can save these and pull them out for next year's table! I hope you and your family have a wonderful, jolly and laughter-filled Christmas. Back to regular posting next week. For now, I plan to relax, over-indulge and enjoy the holidays. Rumor has it we might be having a white Christmas! I certainly hope so! They look beautiful all lined up! Oh, btw totally jealous of the huge vase collection you've accumulated!